Opico has appointed Agriplus as a new Strautmann dealer, and Joe Whelan is expanding its trading area to further strengthen Massey Ferguson’s presence within the Irish market. Established in 2005 by Rob Stevenson and his uncle Richard Winter, Agriplus has grown from a small agricultural engineering business into a dealership that since 2008 has handled the McCormick tractor franchise. (Picture left to right: Agriplus machine sales director Rob Stevenson with Opico territory manager Colin Grigor). Based in the Stokesley Business Park in North Yorkshire, the company is also a main dealer for Bomford, Maschio Gaspardo, Teagle, Vicon and Weidemann and Harry West. “As a proactive and forward-thinking company, we are always looking to improve our range of product offerings,” said Mr Stevenson, who added that the Strautmann range of forage and feeding wagons is a perfect product fit for its customers. 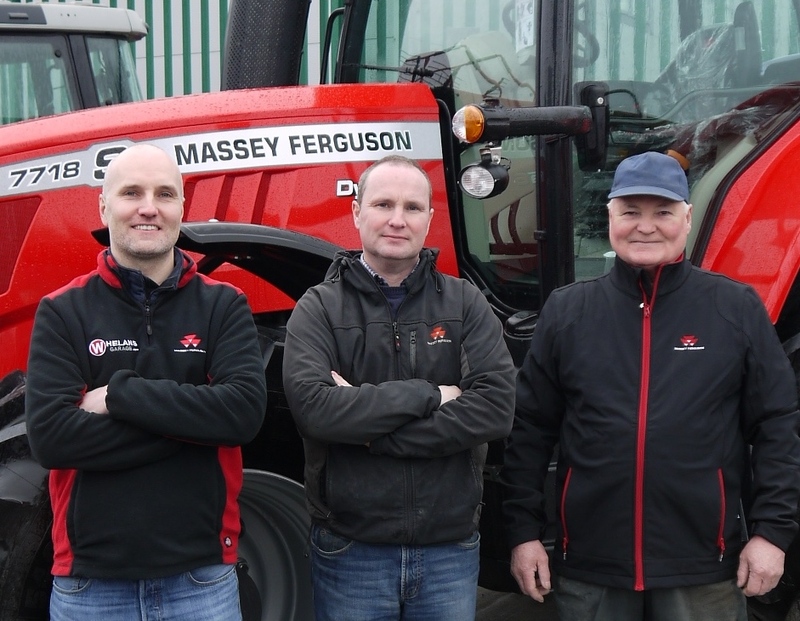 Already well-established is Kilrush, Ennis and Loughrea, Massey Ferguson dealer Joe Whelan has expanded its trading area to include county Limerick. “Over recent years we have seen Whelan brothers make heavy investments into their depots and staff which can be easily measured in their after sales performance and increased market share,” commented MF national UK & Eire sales manager William Judge. Left to right: Joe and Kevin Whelan with Joe Whelan Snr. Formed in 1967 by Joe Whelan Snr in the Old Railway Station in Kilrush, and now managed and ran by brothers Joe and Kevin Whelan, the dealership will continue to be responsible for the sales and support of the full range of MF machinery.